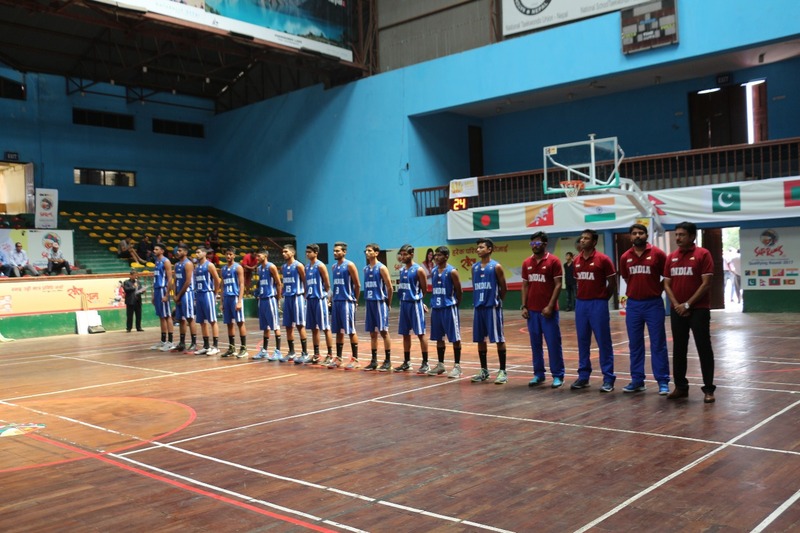 India wins 83-64 over Bangladesh in its second game of the 2nd SABA U16 Zone Championship. Forward Priyanshu led the team with 32 points. India had 4 players scoring in double figures. India will next meet hosts Nepal on 8th September at 13:30 (13:15 IST). This Championship is being played in a round robin league format and the winning team qualifies to the 2017 FIBA Under-16 Asian Championship that will be held in Malaysia later this year. Bengaluru/Kathmandu, 7th September 2017: The Indian U16 men’s team beat Bangladesh 83-64 on day 2 of the 2nd SABA U16 Zone Championship being held at the Dashrath Rangshala Stadium, Kathmandu. Forward Priyanshu led all scorers with 32 points while India’s topscorer in the previous game, centre Princepal Singh maintained his form and dropped 13 points. Overall, four Indian players scored in double digits. Bangladesh tried to make a comeback in the second quarter by outscoring India 18-16 but India enjoyed a dominant third quarter to ensure it ended on the winning side. Moving ahead, India are the strongest contenders for the championship, as they take on Nepal again on 8th September at 13:30 (13:15 IST).